The Sextans galaxy has a mass some 100,000 times less than that of the Milky Way but has swallowed an even smaller companion. Using data form the Victor M. Blanco Telescope (4m diameter) at the Cerro Tololo Interamerican Observatory and the Landon Clay 6 m telescope, also known as Magellan 2, at the Las Campanas Observatory, both in Chile, they observed clear signs that Sextans had absorbed a smaller stellar system. 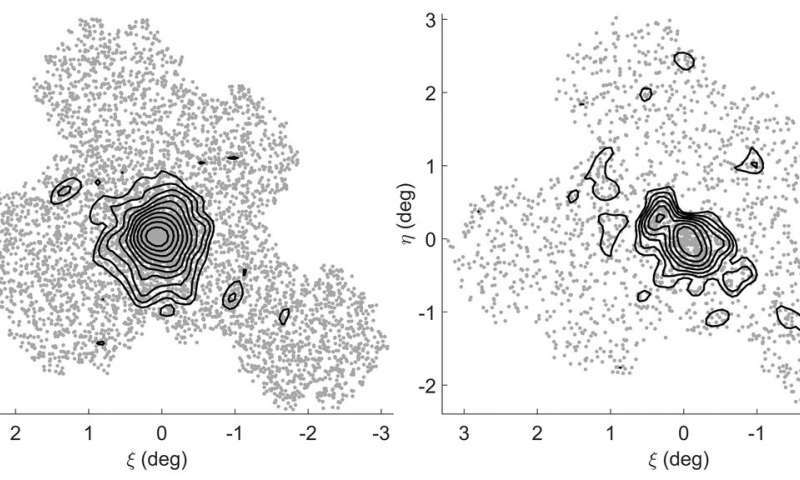 When they analyzed the dwarf galaxy, they observed that the spatial distribution of the blue, metal-poor stars was round and regular, while that of the red, metal-rich stars was much more elliptical and irregular, with an overdensity of stars on the north-eastern side. 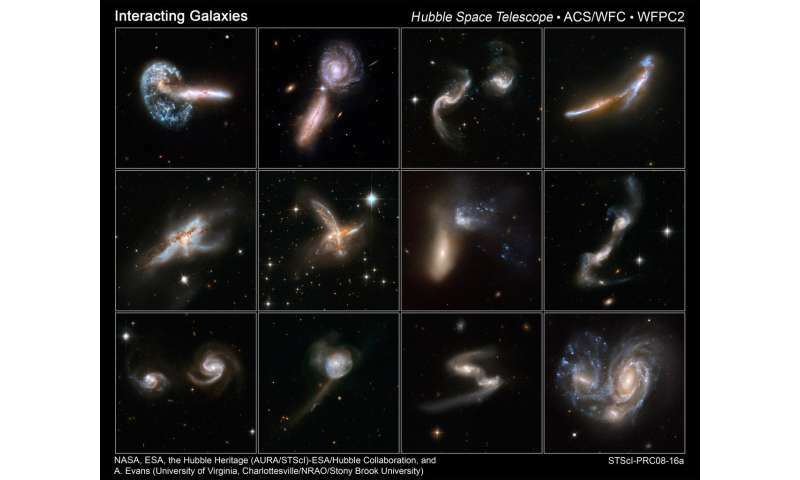 "The most reasonable explanation of this phenomenon is that two galaxies merged, and had different metallicities," explains Luis Cicuéndez, a researcher at the IAC and at the University of La Laguna. "This finding appears to show that the hierarchical theory of galaxy formation, in which small galaxies merge to form larger ones, can explain the formation of even the smallest known galaxies, the dwarf galaxies" explains the IAC researcher and co-author of the study Giuseppina Battaglia. The details of this new discovery are published in the latest volume of the journal Monthly Notices of the Royal Astronomical Society (MNRAS).